Another birthday, another egotistical blog post - two days ago I turned 22, meaning all the big omgwow numbers (16, 18, 21...) are now behind me. Ageing will now be an unremarkable thing with no accolades to reach. Well, it was always that to me anyway. This year I've done many things on a week off work. 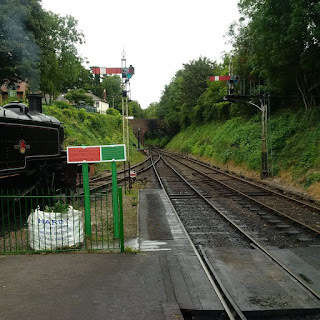 For a start, on September 6, I went to the Mid Hants Railway for the first time in years, and on one of my first visits that wasn't a Day Out With Thomas event. It truly is beautiful to witness, all of these steam locomotives - while of course you wouldn't really wish they were still in service instead of diesels/electrics as the latters are much faster and your journeys would consequently be fairly unbearable, the intricacy and detail is something you just don't see in said modern locomotives. The railway itself is equally beautiful - it was originally used to transport locally grown watercress to London, hence it's Watercress Line brand name, whilst also providing regular passenger services between there and Southampton. The views you see as you journey across rural Hampshire are stunning to say the least, and while on quiet days it can be easy to get a tad bored, you'll find much to love especially in the Ropley station where the loco yard resides - allowing you to view all the current locomotives up close, even during refurbishments, as well as rooms containing trivia and historical information on the world of steam traction. Some parts feel a bit worn out and dull, especially the shops, but this is still a place that provides a calm, relaxing outing for those fond of the subject matter. 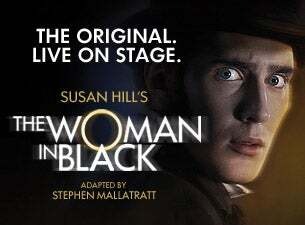 In London, I did several things, including visits to the Natural History Museum (and their Colour and Vision) exhibit, the Bond in Motion exhibit at the London Film Museum, and the Revolution exhibit at the V&A Museum - culminating with a viewing of the much loved The Woman in Black at the Fortune Theatre. I first saw it on a school trip in 2011, and for those who haven't seen it and are interested in any way, I recommend it without hesitation - despite it's play within a play twist, it's by far the most faithful retelling of the novel, with both films (much as I love the 1989 one) making too many changes to really be dubbed loyal adaptations. Relying on just two main actors, the play is a resourceful and well paced ghost story that cleverly brings the novel to life without the need for excessive theatrical effects or gimmicks - less is more in this definite masterpiece, and to say it'll scare you is surely an understatement. Present wise isn't important this year, as my gifts in general was this amazing series of outings shared with my other half. The aforementioned museum tours were equally as remarkable, particularly that of the NHM, which is easily one of my favourite places on the planet - thanks to how interactive and involving it's exhibits are, as opposed to just being bland models and pictures with text slapped in front of them. The Bond in Motion exhibit, while a little short, is also pretty sweet, giving you a viewing of all of the vehicles used in the original Bond films, from the original classics to those even used in Spectre. You also get a chance to have your photo taken in a cheesy 007 format - we gave it a go...what do you think?